Reparel™ provides a non-invasive solution to promote the resolution of the inflammatory response without the ‘squeeze’ of compression. Our technical fabric comfortably combats post-operative swelling and pain associated with degenerative and overuse conditions. Some Reparel products are PDAC approved and may be eligible for insurance reimbursement. The Reparel™ line of non-compressive sleeves is designed to promote the resolution of the inflammatory response without utilizing the mechanical 'squeeze' typical of other garments. Reparel™ fabric is both soft and breathable, an extremely comfortable alternative to common neoprene sleeves and braces. Reparel™requires almost no effort to apply, is machine washable, and available in multiple sizes. 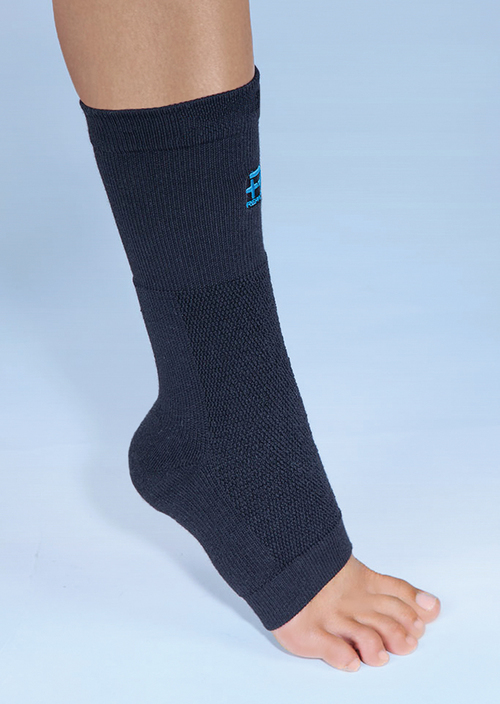 Reparel™ Ankle Sleeve is a superior option as a component of non-surgical ankle pain therapy for acute and chronic inflammatory conditions of the foot and ankle. It may alleviate symptoms commonly associated with plantar fasciitis. to counteract the natural reduction in circulation that occurs while sleeping. Reparel™ Walking Boot Undersleeve is the perfect complement to any pneumatic walking boot: it facilitates an exceptional fit while also resolving inflammation and reducing some of the associated pain of acute foot and ankle injuries. Use Directions: Wear as needed; can be worn 24/7 directly against skin. Designed to be worn in conjunction with a foot and ankle orthosis or walking boot. Continue wear as needed to reduce swelling and pain once brace is no longer necessary. Recommended wear while sleeping. If you are a healthcare professional interested in carrying the Reparel™ line for your patients, please contact us at sales@reparel.com. "; //var submitRview = "
"; var submitReview = "